Breakout sessions for in-depth discussion of each of the species and other topics. Lots of sharing of information between keepers. What will I gain from the Otter Keeper Workshop? Lots of new otter knowledge. Lots of otter contacts and new otter friends. A flashdrive with several megabytes of otter information. 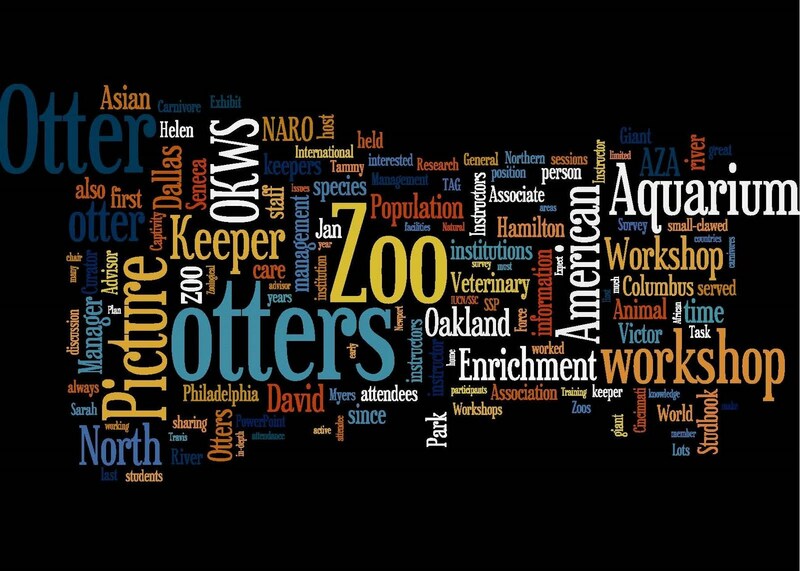 Tons of ideas to take back to your otters. The chance to become an official otterologist.